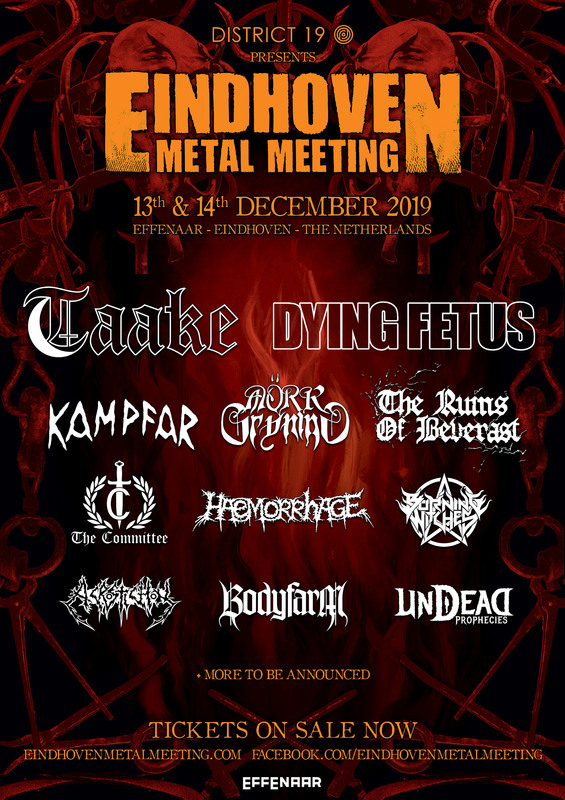 Eindhoven Metal Meeting, more bands announced! Dying Fetus, The Ruins Of Beverast, Haemorrhage, The Committee, Undead Prophecies, Burning Witches & Acrostichon! https://district-19.com/2018/wp-content/uploads/2019/01/EMM-dying-fetus-IG-1-e1548418586485.jpg 707 1748 laura https://district-19.com/2018/wp-content/uploads/2018/09/District-19-logo-1.png laura2019-02-01 12:10:452019-02-01 12:10:45Eindhoven Metal Meeting, more bands announced!